Greetings to any who care to read past this line. To those who did not bother reading the first line, or may not even know this post exists, we hope you buy and enjoy the book anyway. Salutations sold separately. This is Totak H. Clymes, owner, but not operator, of this little slice of the internet dedicated to shameless self-promotion of my one and only standing project: Amissio Libra. My lovely associate heading up the THCALS Team and performing most of the updates you will all see on this blog, along with the Facebook page, is Vanessa. We both bid you, the few who actually bother perusing these silly little introductions, a fond welcome. As this is my first project ever taken to print, I will admit that releasing the first book has been somewhat of a trying debacle. With any luck, Chaos will go live on schedule, and we can spend more of our ever so valuable time playing Diablo III. I mean Magic. Writing the second book… yeah, that. We look forward to communicating with our fans here on this blog and will attempt to do so whenever possible. And on a final note, as the mind and soul of Amissio Libra, I hope that you, the reader, enjoy the ride. 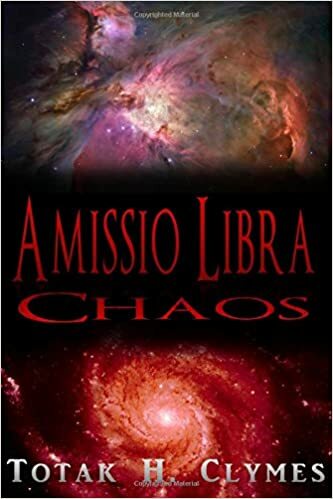 This entry was posted in About the Author and tagged Amissio Libra, Contemporary Fantasy, Totak H. Clymes. Bookmark the permalink.